Ah… the downside of scrolling backwards when catching up on my blog reading. Adorable shot! 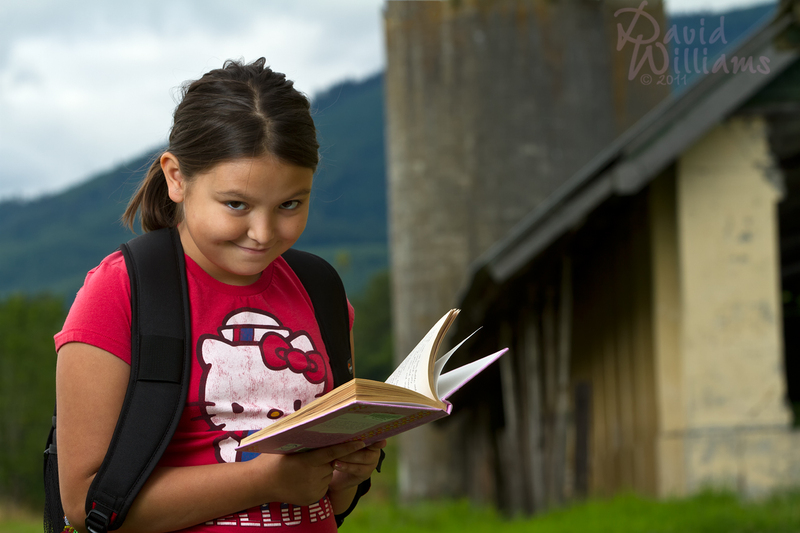 I love her expression – slightly mischievous, it makes me wonder exactly what she is reading! Thank you very much Fabrizio. I’ve had fun playing around with off camera flash portraits!